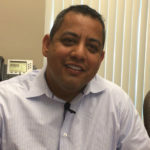 Former trustee Miguel Arias is challenging State Center Community College District’s commitment to hiring diverse leaders. In a recent tweet, he accused district leaders of screening out qualified minority candidates in the Reedley College presidential search. Both of the finalists, interim president Donna Berry and Jerry Buckley, the vice president of academic affairs at Santa Clarita Community College District, are white. Disappointed that qualified minority candidates were screened out again. #diversity is on the @SCCCD mission statement but not lived by the administration. Arias, who is now a Fresno city councilman, says that SCCCD Chancellor Paul Parnell is not doing enough to ensure equality throughout the district. “His recommended appointments for his senior leaders have not followed through on a commitment he made to making the diversity of hire a top priority for his tenure as chancellor,” Arias said. Arias served an SCCCD trustee when Parnell was hired in January 2016. Related Story: Who Will Be Reedley College’s Next President? Trustee John Leal said the matter is not only an issue at SCCCD but also at many of the 72 districts in California. Parnell agrees that SCCCD needs to do a better job recruiting minority candidates for its senior positions. “We are always pointing toward that goal so our students reflect our staff,” Parnell said. Parnell denied Arias’ claim of screening out applicants based on race. As of spring 2019, the district has 37,322 students enrolled at its three colleges and two centers. Of that number, 23,082 or 61.8 percent of students are Hispanic and 7,004 or 18.8 percent are white. However, of the 21 senior management positions in the district, Caucasians occupy 10 of the positions, Parnell said. Hispanics occupy seven, African Americans three, and one is occupied by someone whose ethnicity is unknown. More than half of the district’s instructors are white but a majority of classified employees are Hispanic and other minority ethnicities. Parnell said the ratio of Hispanic staff, especially those in senior management positions, to students is not as high as he would like. He said that he is working to improve the situation. Parnell pointed to cultural and sensitivity training as examples of his efforts. The training focuses on topics such as cultural competency, diversity, equity mindedness, stereotypes, and microaggressions, and unconscious bias. “We are in continuous training trying to make sure that we can eliminate unconscious bias on all of our committees,” Parnell said. Parnell said the training is in-depth and provides staff with comprehensive knowledge of diversity. “It is basically something every month and some of these are all-day events,” Parnell said. Parnell said he and his staff have also sent teams of people from every SCCCD college to the Center for Urban Education at USC to cultivate mentorship programs. “It is … so we can encourage people to get those kind of degrees and get the qualifications so that they can become presidents and chancellors and vice presidents and vice chancellors in our system,” Parnell said. He said that the training and programs didn’t start until he became chancellor. Trustee Annalisa Perea said she is also working with Parnell to ensure “we are hiring not only the most qualified individuals but also that we are hiring people that truly reflect the students that we are serving,” she said. The district just announced the top two presidential candidates for Madera Community College Center. They are Claudia Lourido-Habib and Angel Reyna. On her Twitter account, Lourido-Habib identifies as a Latina. She is originally from Cali, Colombia. Reyna, a son of migrant farmworkers, is from Armería, Mexico. He moved to the U.S. when he was four years old, and worked in the fields for 13 years. Although both candidates are minorities, Arias still says the district can do more. Related Story: Who Will Be Madera Community College Center’s Next President? As with all presidential candidates, Parnell will interview and select one to recommend to the trustees for final approval. Is Mueller Wrapping Up Russia Probe? Acting AG Says Yes. I would like to clarify the SCCCD hiring process. Hiring a college president at SCCCD is a Board approved process that is delegated to the Chancellor. It is also very confidential. A committee comprised of students, faculty, administrators and community members are the only individuals with knowledge of the total applicant pool. Confidentiality is important because some applicants may not want their current employer to know that they are looking elsewhere. It also allows the committee members to judge applicants based on the written applications and interviews. In addition, the committee members don’t receive unsolicited information from people who may know an applicant. Once a specified number of applicants are selected by the committee to move forward, background checks are conducted. During this process it is common to lose any number of applicants. For example, it is common for applicants to apply at several institutions and some applicants may accept an offer at another educational institution. Some reference checks may indicate that an applicant may not be a good fit for the college. SCCCD has a fair process for all applicants that has brought exceptional leadership to the District.